BlackBerry DTEK60 Android smartphone released in India on 12th November 2016 but it was launched in October 2016. 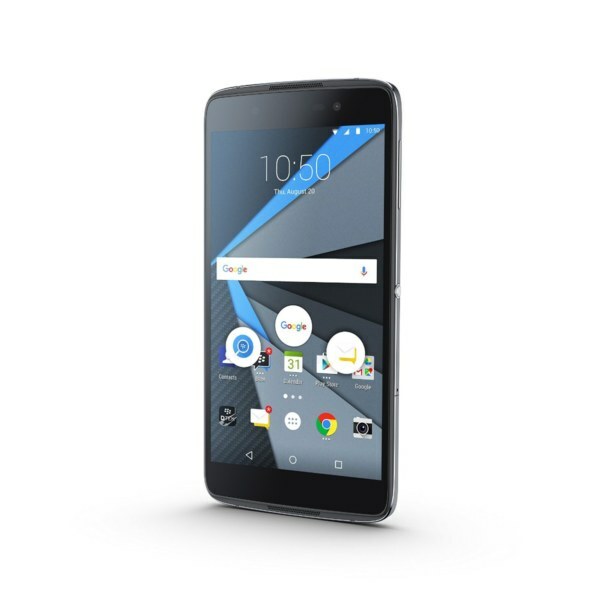 The BlackBerry DTEK60 is another smartphone launched by Blackberry after Black Priv and DTEK50. This Blackberry Android smartphone comes with a 5.5-inches AMOLED with a resolution of 1440 x 2560 pixel at a PPI of 534 pixels per inches. For protection, the display has Scratch-resistant glass, oleophobic coating. The BlackBerry DTEK60 Android phone is under its body powered by 1.6GHz quad-core Qualcomm Snapdragon 820 processor. For multitasking it gives a 4 GB of RAM and packed with 32GB of internal storage (expandable up to 2TB via dedicated microSD card). At the back side it flaunts a 12 MP camera and for a selfie, an 8-megapixel is given. The BlackBerry DTEK60 comes with stock Android 6.0.1 along with some security tweaks. To give energy this Android phone, it has a 3000 mAh nonremovable battery. It has a single Micro-SIM card slot that supports 4G LTE. Other connectivity options are USB, OTG, Bluetooth, GPS,Wi-Fi . About sensors: Fingerprint, Compass, Ambient light,Proximity , Accelerometer, and Gyroscope.